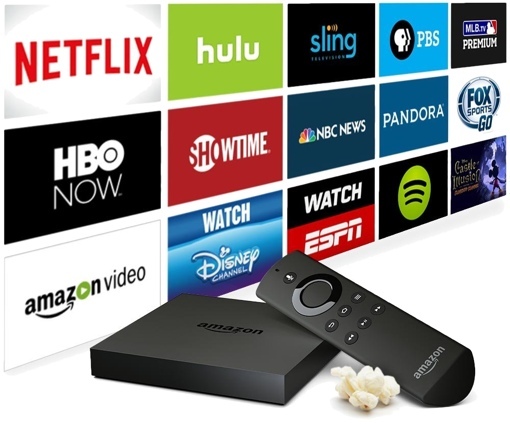 Today, Seattle-based Amazon unveiled the latest generation of its Amazon Fire TV and Fire TV Stick streaming media devices. The new devices boast class-leading processors, voice-powered remotes with the Alexa personal assistant and support for ultra-high definition 4K video streaming. Amazon’s own version of Siri, named Alexa, makes it easy to find your favorite shows by voice search. You can access movies and shows by requesting them directly, or by requesting specific actors and genres. Alexa also has the ability to answer questions and perform tasks requested in conversational English—just say “Alexa, what’s the weather like tomorrow?” or “Alexa, what was the score of the Yankees game?” Alexa integration will be rolling out to all existing Fire TV and Fire TV Stick owners as an over-the-air update soon. Both new Amazon Fire TV devices now support 4K video streams from Netflix and Amazon Prime Instant Video, as well. The only catch here is that many homes in the United States do not currently have the Internet bandwidth needed to stream content in ultra-high resolution. Techlicious generally recommends a connection of 25Mbps or better for viewing 4K video; the average U.S. home’s connection speed is less than half that. The new Amazon Fire TV (quad-core, 2 GB RAM) will start shipping October 5. It is currently available for pre-order on Amazon for $99.99. The HDMI-only Amazon Fire TV Stick with Voice Remote (dual-core, 1 GB RAM), meanwhile, will ship on October 22. It is available for pre-order on Amazon for $49.99.